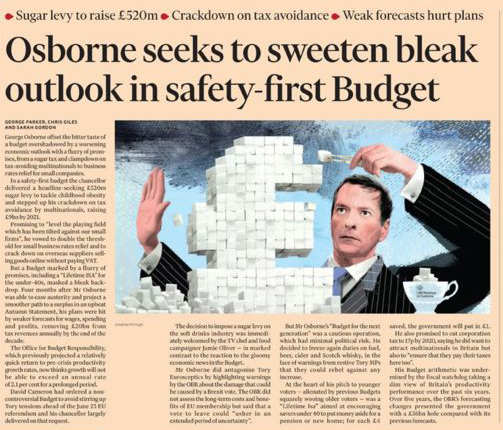 Budget 2016 – What It Means For Savers and Investors? Here at The Financial Planning Group, we were keen to discover what impact the Budget would have on the savings and investment industry after proposed pension reforms were deferred from this year’s announcement. Indeed, it appears to be business as usual for pension saving as the Chancellor confirmed there will be no imminent changes to pension tax relief. And the introduction of the new LISA saving vehicle from April 2017 adds another attractive complementary option to the saving landscape. Taken together with cuts in CGT rates, further boosts in income tax thresholds and some welcome tidying-up of pension anomalies, it’s been a good Budget for savers. Pension saving: Using the higher 2015/16 annual allowance, and carry forward, to make the most of higher rates of tax relief. Lifetime allowance: Planning in earnest for the imminent lifetime allowance cut (including final funding for those clients using fixed protection 2016 to lock into a £1.25M allowance). Salary sacrifice is here to stay: In more good news for employers and employees, the Government has confirmed that salary sacrifice will continue to be a tax and NI efficient option to fund a pension (as well as other mainstream employee benefits, such as childcare or health-related provision). Its use for other employee benefits may, however, be cut back. Workplace pension advice allowance going up: To encourage employers to boost employee access to professional advice on their pensions, the tax and NI free allowance for employer-arranged advice will increase from £150 to £500 per employee from April 2017. Pension dashboard coming soon: To help pension planning, a new digital pension dashboard, giving a single view of an individual’s total pension savings, will be launched by 2019. Under 23 drawdown anomaly fixed: The current rule that requires minor dependants’ drawdown to stop at age 23 will be scrapped, giving these dependants the same flexibility as other minor beneficiaries to continue drawdown after 23. A fairer deal for the seriously ill: Pension tax rules will be relaxed so that serious ill-health lump sums can be paid even where funds have already been accessed under the scheme. And, for payments after age 75, they’ll be taxed as income rather than at a flat rate of 45%. The Chancellor unveiled plans to introduce a new Lifetime ISA (LISA) from April 2017. But this is a complimentary savings scheme for younger savers, not a replacement for traditional pension saving. Higher rate tax payers will continue to enjoy tax relief at 40% on pension savings of up to £40,000 a year, keeping pensions as their number one long term savings plan. Indeed, the under 40’s will be able to use both and add up to £45,000 pa to their retirement funds. The Government aims to encourage long term saving with the inclusion of a ‘buy four get one free’ bonus, but with the ability for first time buyers to use savings to get a foothold on the property ladder. The new LISA will only be available to the under 40s and will include a 25% Government top up at the end of each tax year. It won’t be possible to pay as much into the LISA as you can into your pension. Contributions will be limited to £4,000 each year which will be topped up to £5,000. And savers will stop receiving their top up once they reach age 50. LISA contributions will count towards the total ISA savings limit which will increase to £20,000 in 2017/18. Funds can be accessed tax free after the age of 60. But to help first time buyers, funds may be withdrawn tax free to cover the cost of a deposit on their first home. And anyone already saving in a help to buy ISA will be able to transfer their existing savings to the new LISA. Accessing savings before age 60 for other reasons will be allowed but the Government Bonus, and the growth on it, will be lost. There will also a 5% tax charge applied on the amount withdrawn. As with other ISA schemes, the LISA will form part of the estate for IHT. 20% where the investor is a higher rate taxpayer, or the gain takes them into the higher rate band. Trustees and legal personal representatives also win, as their tax rate on trust and estate gains falls to 20%. However, landlords or second property owners will continue to pay 18% or 28% on any gains when they come to sell. In April 2017, the Personal Allowance will rise from £11,000 to £11,500 and the higher rate threshold will increase from £43,000 to £45,000. These two changes will see the take home pay of higher rate taxpayers increase by £500 each year, while for basic rate taxpayers the increase will be £100 each year. Together with the new dividend and savings allowances available from April 2016, advice will be key to ensuring that clients have their savings in the right place to produce a tax efficient income when they need it. From April 2018, self-employed individuals will no longer have to pay Class 2 NICs, currently £2.80 per week. They will still have to pay Class 4 NICs, which will be reformed to allow them to build up an entitlement to State Pension and other contributory benefits. As an encouragement to UK business, the Corporation Tax rate will be further cut to 17% from 2020. The current rate is 20%. If you would like to discuss your personal finances, or make an appointment to work out the right investment and pension strategy for 2016 and beyond, please call us 0800 731 7614 or e-mail enquiries@fpgonline.co.uk.